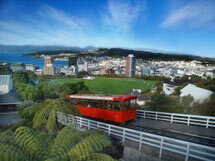 Wellington, the capital city of New Zealand, is a arts and cultural mecca. 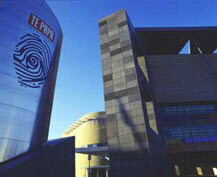 The national museum of New Zealand, Te Papa, is very conveniently located on Wellington's waterfront. The compact city is jam-packed with funky shops, galleries, cafes, bars and restaurants all within easy walking distance. Infact Wellington has more restaurants, cafes and bars per head than New York! Downtown Wellington is the ideal shopping destination. It is so compact that you can walk from one end to the other in twenty minutes. Great designer fashion can be found, such as: Zambesi, Starfish, Robyn Mathieson and Voon. Wellington is great if you like the outdoors. You can discover the city on foot with Walk Wellington. Surf at Lyall Bay or just enjoy a walk around the rugged coastline. Mountain bike on Wellington's surrounding hills or a perhaps a pleasant bush walk. Wellington was the main filming and production location for The Lord of the Rings Trilogy. While no film sets still remain there is still a lot of Middle Earth to see. Mount Victoria has fantastic views of Wellington city and harbour, plus you should easily recognise it as the Hobbiton Woods where the hobbits hid from the Ringwraiths. A short drive out of Wellington is the magical Wairarapa, one New Zealand's top wine regions. Of particular note is the international pinot noir wines from Martinborough. Masterton is the commercial heart of the Wairarapa farming area, and offers a wide range of accomodation from hotels and motels, to farm-stays, to exclusive lodges. Just north of Masterton is Pukaha Mount Bruce Wildlife Centre, which has some of the world’s rarest birds - kokako, saddleback, kea, kakapo, kiwi and takahe and is a "must-see". 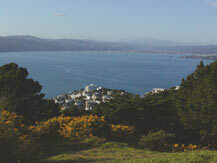 Please choose from the links shown below to help guide you through the information on the stunning Wellington region.